Check out these informative videos about the all-new 2019 Hyundai Kona Electric. 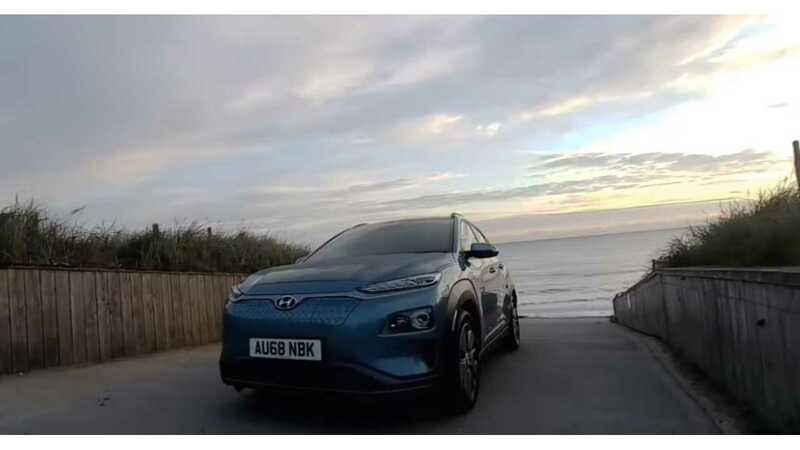 YouTuber The EV Puzzle recently took delivery of his brand-new Hyundai Kona Electric Premium SE. His subscribers had asked for a comprehensive, up-close look at many aspects of the car. While he apologizes for not being a professional videographer, he does a fine job taking plenty of time to walk around the car in great detail (above). This may be one of the most exhaustive looks at the car we've seen to date (and there's no annoying dialogue). He takes us inside and out and leaves no stone unturned, although he does admit that he won't be going through the navigation or in-car media in this video. Let's hope he dives into that in the near future. Close up with the car. All angles, inside and out as requested by several subscribers. Not demo-ing Satnav or media in this video and not going through all the setup options. Not the prettiest of videos I know but hopefully it's practical. Now to find some copyright free music which doesn't sound cringe-worthy. Moving right along, this Kona Electric owner's previous video was posted not long after he picked up the new car. In terms of first drives, the video below couldn't be more "first" since he includes us in his drive home from taking delivery. Keep in mind that he tells us the dealership seemed to have no clue about the car, especially in regards to charging. Nonetheless, he says the Kona Electric is "Absolutely Brilliant." The next morning, he shared another video driving the Kona Electric at night. We've embedded both shares and video descriptions below. Enjoy! Pickup day and first drive / test / review for my UK Kona Electric Premium SE in Ceramic Blue. Slightly distracted by the planning for filming etc yet mildly nervous. Will it live up to the expectations from my search and decision to buy the Kona, sight unseen. Fortunately, I need not have feared. The car is simply brilliant and exceeded my expectations. I can honestly say it's a better driving experience than the i3, Leaf, Zoe and Ioniq. Comparing the cars beyond that personal preference gets harder as there aren't like for like comparisons in every element. Some cars have this but not that etc. Do I miss any features from the other cars I tested? Yes, the Zoe giving stats of regen recouped energy is brilliant. I wish the Kona had that. Minor issues: A 2nd USB to allow USB music & Android Auto together would be nice. Storage compartment in side of boot space would be nice. Note: At the point I'm saying WOW it accelerates!!! etc please note I didn't try Sport mode. it's even quicker in Sport Mode! If you just want the driving bits, skip in about 5 minutes. Sadly it takes a full day to get a video out it seems. Sorry for the delay. A few hours filming and prep. 5 hours downloading and editting, 2 hours producing and 3 hours uploading..... 35mins watching. Just a short video with a few ramblings about efficiency and the lights etc.